Congratulations Linda! You should have an email from me soon! Christine & Company is so happy to announce that we finally have 500 Facebook Fans! We appreciate each and every one of you and to celebrate, we've put together a pretty awesome giveaway valued at approximately $150. One lucky fan will win the whole shebang! And it's so easy to enter...just follow the directions below. Everyone will have lots of ways to enter. But first, I'd like to introduce you to some pretty special folks. All of these very talented artisans have contributed something from their shop to be included in this amazing gift basket. Take a look! 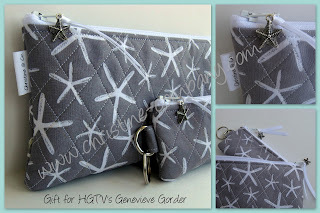 This two piece set including a quilted cosmetics bag and coin purse key ring, is donated by Christine & Company. 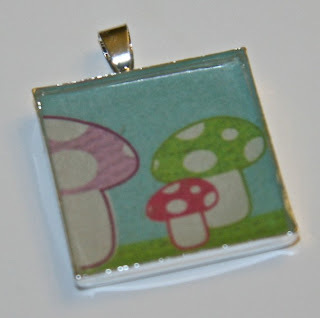 They are a part of a new wholesale line that will be launched in the fall. 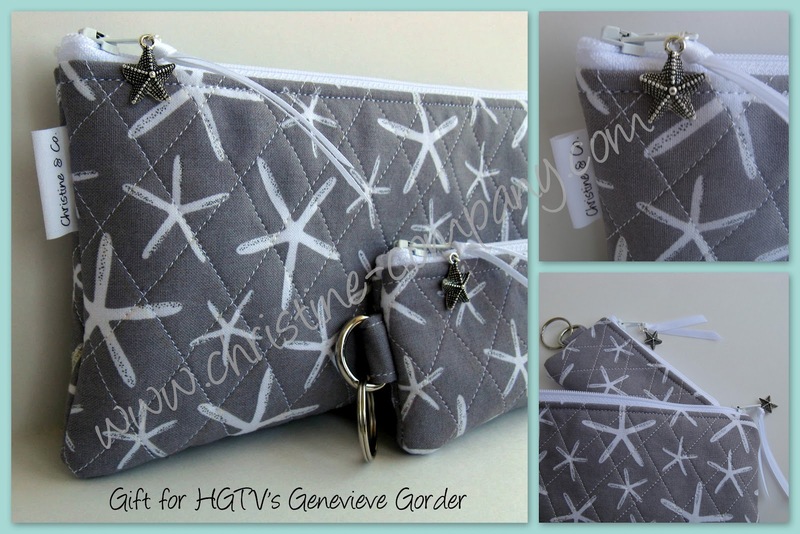 Pssst....one of these sets is on it's way to HGTV's Genevieve Gorder! 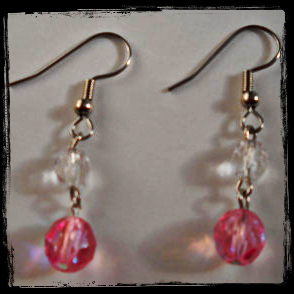 Aren't these pink and crystal drop earrings by Emerald Coast Boutique lovely? 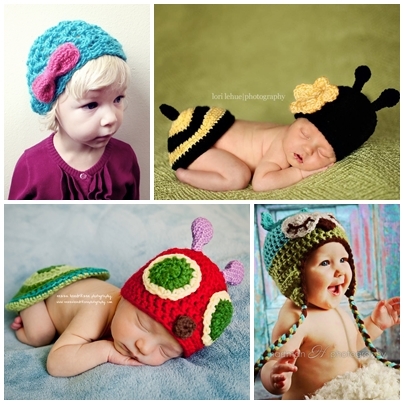 Beautiful Ewe is giving away a $20 shop credit! she's offering FREE SHIPPING in her Etsy shop! Check out this unique Bow Bucket by Brina's Bowtique. hairbow that can be removed for use and then put back on the stems for display. To be eligible to win, pick 3 items that are your favorite and comment below. And check all the shops...I wouldn't want you to miss a single thing from any of these great shops! Plus, there are lots of other ways to earn EXTRA entries! So, get to browsin'...this giveaway ends at midnight on August 8, 2012. Good Luck! *giveaway only open to residents of the US. Thanks for visiting my blog! Congrats on reaching 500 that's awesome! If this works that will be great, comment blocked on the outside world of f/b.. Thank you for offering this fabulous giveaway! I love your cosmetic bag and change purse. It would get plenty use by my 2 older daughters and myself. The tutus are amazingly cute and if I have to choose one last thing it would probably have to be the beautiful things offered by Beautiful Ewe. Thanks again!! Thanks everyone for entering the giveaway...there's still plenty of time left, so tell your friends. Remember, you must comment on this post with THREE things from the giveaway to be eligible. probably the oosmetic bags, those beautiful pink and crystal drop earrings or the tiny dancer tutu! Thank you so much! love the $20 GC from beautiful ewe!